Now that we’ve returned from our absolutely, positively incredible week in paradise (aka CocoBay Resort in Antigua! ), I wanted to share some helpful tips, tricks, and advice if you’re planning your honeymoon or will be in the future! At the end of the day, no matter what you do or where you go for your honeymoon, you’re married!! That’s all that really matters, so keep that in mind as you plan and enjoy a honeymoon. Plan your honeymoon together and talk candidly about honeymoon hopes/desires/expectations. We will be the first to admit that planning our honeymoon was one of the more stressful parts of wedding planning, ironically! I absolutely loved planning our wedding (it’s my job, afterall), but deciding on our honeymoon location took more months and more back-and-forth than we anticipated. We know from the beginning we were on the same page about a few things: a week in the Caribbean at a resort, something fairly private, somewhere beautiful. We didn’t want to go to Hawaii (too long of a flight for a week) or Europe (same thing), and we didn’t really consider Mexico. I had always envisioned a week in the Caribbean for my honeymoon, doing nothing but relaxing on a beach! Rob and I were pretty much aligned with what we wanted, though it took us a while to find exactly the right fit for several reasons. I’d never been to the Caribbean before, and Rob has been many times on cruises (his parents also lived in Puerto Rico for a stint while he was in college). When I started looking into islands to visit and resorts to choose from, I was immediately overwhelmed with 1. the amount of islands in the Caribbean and 2. the sheer volume of resorts on each island. I’ve never, ever been a big fan of “rabbit hole” research, as I like to call it, and felt like I was on an endless search with a million options for the perfect fit. Rob and I tried researching together, which I definitely advise, but also felt overwhelmed by the options. We even enlisted our fabulously helpful and wise dads to help us! We sat down and talked through what our personal expecations were for our honeymoon, something we’re grateful we could even do – I know we were able to have a honeymoon that may only be a dream for some couples. Definite wants: an all-inclusive resort, fairly quiet/private, not a huge resort with too much going on or too many other people, no kids, beautiful, safe, and in our budget. I’m one that notices the details and design, so I was hoping for a beautiful resort (the rooms/amenities/resort/views)… and I have pretty high expectations! The view from our bed – magnificent!! A total pinch-me moment every morning. While we’re talking about money, be sure you both are aligned when it comes to how much money you wish to spend together on your honeymoon. Talk clearly and throughly about your expectations, how much you want to/are willing to spend, and how important certain facets of your honeymoon planning are to you. You really want to ensure both of you are on the same page in the beginning so there’s little room for disappointment, worry, spite, or reluctance in spending too much. We all know how important honest, open, loving communication is in marriage, and planning your honeymoon together is no exception! We knew that we wanted to somewhat-splurge on our honeymoon, because, well, it’s our HONEYMOON! It is a once-in-a-lifetime trip, in a way… knowing that it was our first week as husband and wife, a celebration of our commitment, a big international trip together, etc. But we also knew that it wouldn’t (hopefully!) be our only international trip, we had just paid for a portion of our wedding and were spending a good chunk of money on that, and that it was one week of our lives. But, importantly, we didn’t want to spend TOO much on our honeymoon. 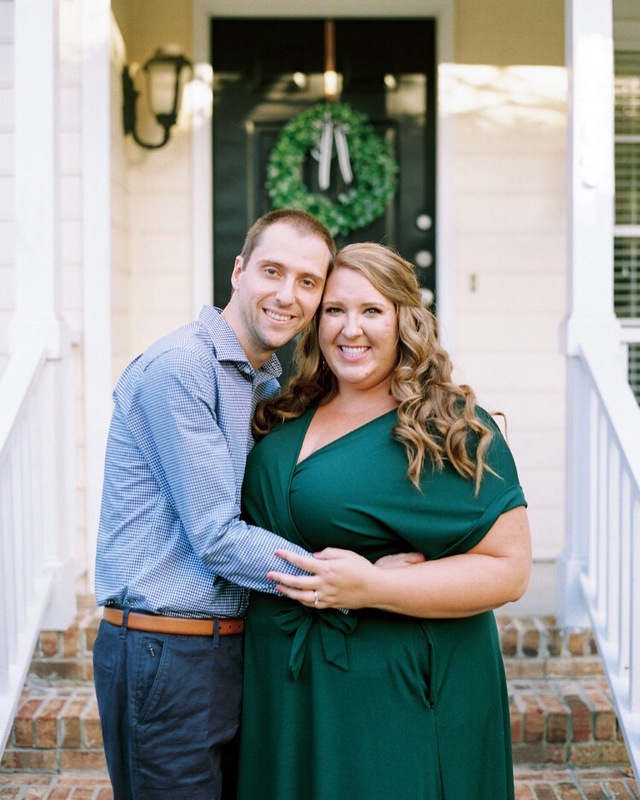 We’re not over-the-top people, we certainly didn’t have unlimited resources, and we very, very much wanted to start out our marriage on the right foot financially. Rob and I were not willing to do into debt whatsoever, and we knew there was a fine line between splurging too much and splurging just the right amount that we felt comfortable with. And looking back, we have zero regrets about how much we spent on our honeymoon (and how much we were able to save)… allowing ourselves to soak in these precious week together as a newly married couple but setting ourselves up for financial success as we entered marriage! Finances are so, so different for each and every couple, so our desires and philosophy may be vastly different from your own! This is just a peek into how we chose our honeymoon location and what was best for us. Honestly, all that really matters is that you’re MARRIED! Whether you’re able to take a month off to travel around the world, you opt for a week at the beach, you decide to go with a bed and breakfast in a charming town, or you decide to go on a honeymoon at a later date, the most important thing is to celebrate your love and the start of your marriage!! You don’t have to go with the traditional honeymoon route; choose what is most important to you two and embrace it. We did briefly go back and forth on whether we thought an all-inclusive resort was financially worth it. Rob isn’t a big drinker, so we wondered if the cost of a regular resort (not all-inclusive) might end up saving us some money over the course of the week, as room rates per night were substantially lower at many places. With our research, we learned the opposite was true, surprisingly! With resort charges (upwards of 20% or more per day) tacked onto daily room rates, hidden fees, tips, and taxes… and, of course, ordering off menus at the resort restaurants (which the cost per meal was incredibly high), we found that it was more expensive to not do all-inclusive! It was much more cost-effective, in our research, to go with all-inclusive. Also, we loved the freedom to order whatever we wanted (especially since we’re fairly furgal), whenever we wanted. It was so, so freeing and nice to not have to think about what you order, to even open your wallet for the week (seriously, we paid $6 for bug spray once during the week, and that’s it! ), and to even have to decide if we wanted to splurge or save on a particular meal. We were about to truly relax, to eat and drink whatever we wanted throughout the week, and to not think about money or savings. It was more than worth it, in our opinions! We decided to try a new route, versus endless internet searches: enlist the recommendations of those we knew and trusted. We asked several of our married friends which resort they stayed in for their honeymoons and any pros/cons. I also had seen Callie’s Honeymoon post a few years ago, and I’d long ago bookmarked the resort they stayed at, CocoBay Resort in Antigua. Spoiler alert: it was the first resort we seriously looked at for our honeymoon… and the last! I’ll share more below about how much we LOVED our honeymoon in CocoBay!! Having seen personal photos and a candid personal recommendation, we knew we were signing up for something amazing that had already been vetted by a trusted source. I trusted this more than internet reviews, for sure! Leave on Monday. And factor in a buffer day at the end of your honeymoon! One of the VERY best decisions we made about our honeymoon was leaving on Monday. We had a Saturday wedding, and early on, we decided we wouldn’t leave for the Caribbean until Monday. At first, I was a little hesitant, because, hello, wouldn’t it be amazing to be in paradise one day sooner? But after talking with so many married friends, it was pretty darn unanimous that delaying your honeymoon departure til Monday was such a good idea… and this is something we both wholeheartedly recommend. Most flights to the Caribbean leave a few airports (often NYC or Miami) once a day, usually early in the morning. And this would put leaving Raleigh to get to that connecting flight even earlier in the morning. Our wakeup time Monday morning was 3:00am… super early, but totally doable. If we had flown out of Raleigh on Sunday morning at 3:00am, after a full week of wedding festivities and our oh so amazing but oh so tiring wedding day… well, we would have dreaded that. We had zero desire to leave our wedding late at night, enjoy our wedding night, and then leave a mere couple hours later to fly to our honeymoon! It was so relaxing and so enjoyable to sleep in the morning after our wedding, enjoy our first full day as husband and wife, soak up the hotel that we stayed in, return to our home (it was our first day finally living together!! ), and spend the day relaxing, reliving every moment of our wedding day, opening wedding gifts, eating leftover wedding cake, and packing for our honeymoon. We were so relaxed – and so happy! – and Rob claims it was his favorite day of our honeymoon! We left on Monday (we flew from Raleigh to NYC to Antigua) and were back home in Raleigh on Saturday. I also heavily advise to add in a buffer day between your honeymoon and returning to work/the real world! It’s a big change to go straight from paradise/the most relaxing week ever straight into the busyness of work, and having Saturday evening and all day Sunday to unpack, decompress, rehash every detail of our honeymoon, and ease into normal married life together was so refreshing and much-needed. I doubt you’ll even miss your honeymoon destination too much because you’re having so much fun simply being married and settling into married life! On a similarly-related financial note, don’t forget to factor in and budget for both flight costs and travel time when figuring out the total cost of your honeymoon. Some airports/islands/countries are much harder and/or more expensive to fly in and out of, and taking all of this into consideration is key when planning out the initial stages of your honeymoon. Turn off your phone, and make the week about only the two of you. Our honeymoon truly was BLISS. It was the most relaxing, refreshing, fun, and peaceful week of my life, and we loved every moment of it. We also were focused on making it about just the two of us and our marriage. Those days were the very first days of our marriage, and we only wanted to soak up those special days, be intentional in our time together, talk endlessly, and well, be bored together. We had zero agenda; zero to-do list; zero distractions. Honestly, our biggest decision each day was whether to go swimming at the resort’s private beach or the infinity pool or our own private pool at our cottage. Bliss, right?! We were so relaxed, soaked up quality time together, had no distractions, and besides the waitstaff at the resort, only talked to each other all week long. AMAZING! We also loved that our resort had no internet or wi-fi and no TV or cable. Heavenly! I (who admittedly love my phone and social media too much) was so, so happy and relieved to turn my phone to airplane mode all week long. I took photos on my phone of our honeymoon, for sure, but it was simply that: taking pictures to capture our memories and our time there, and nothing more. I didn’t style a single photo, I didn’t try to get the perfect shot, I wasn’t constantly attached to my phone… it was glorious unplugging for the week and being truly present with my husband! I’m so happy we have lots of pictures from our honeymoon, but I love that they’re simply photos of our week – for us. Make the week about just the two of you: savoring your first days as husband and wife, learning even more about each other, dreaming about your future, relishing every detail of your wedding, and falling more in love. Have those meaningful conversations and simply do nothing together. And at the end of your honeymoon, know that you’re returning home with your spouse!! We weren’t even sad about leaving our resort because we knew we got to return home as husband and wife and settle into normal, day-to-day married life together. And that’s the sweetest thing and greatest blessing. If you’re on the hunt for a great resort, we absolutely loved our honeymoon at CocoBay Resort in Antigua so much!!! This is simply an honest, glowing recommendation from one newlywed to anyone looking for a honeymoon recommendation. The staff was so friendly and helpful, we found it to be a great price for what we got, there were no kids around, it’s a small, private, pretty upscale (but not pretentious!) resort. There are maybe 40-50 cottages at CocoBay, so there are never more than 80-100 other people there at any one time. It was so quiet and peaceful when we went, and it felt so luxurious and private. I loved our cottage (the deluxe pool cottage) so, so much: we had out own private pool and balcony for the week with surreal, pristine views of the ocean. Perfection!!! There were fresh flowers all over our room, champagne waiting for us, and a fully stocked fridge every day. The meals (breakfast, lunch, and dinner) were all marvelous, delicious, so diverse/impressive, and the views were unreal. I have to say, the meals were so, so wonderful, filling, and you could tell they took great pride in the variety of meals, the freshness, and the ingenuity in flavors and presentation. The bar was always open (my favorite was the Caribbean Daze with peach, and Rob loved his pina coladas! ), and the staff was so friendly. There is nothing I didn’t love about CocoBay!! The resort’s private beach was amazing (and right on the resort) – the staff would bring you drinks, cool towels, and fresh fruit throughout the day. There were two spectacular infinity pools to choose from with breathtaking views, and goodness was it just the most magical setting. We loved walking around the (small) resort, swinging and talking in the hammock, sipping coffee (or champagne) from our balcony, and simply being. It was, without a doubt, the best start to marriage! I truly couldn’t recommend wonderful, gorgeous resort more! And if you have any questions or want more information, I’m an open book and would love to share more. I would love for the comment section to be a great resource for brides-to-be or anyone planning a honeymoon! Please share, friends: if you’ve gone on a honeymoon, where did you go and would you recommend it? Do you have any tips or hints for honeymoon planning? And if a honeymoon is sometime in the future, where is your dream destination?! What a WONDERFUL expression of your fabulous honeymoon. Nice frank discussion about financial considerations, too. The resort does truly look like paradise, but the smiles are the best part. Thank you so much!! There’s so much we learned when planning our honeymoon, and I felt compelled to share this newly acquired knowledge with anyone planning a honeymoon (or trip)! Our resort was so, so amazing, and I recommend it wholeheartedly. And I agree: you can definitely tell how happy we are… together, married, and in paradise! Love you!! Love this monster post with so many great tips! 😉 Looks like you had a fabulous time and I love your well-communicated, balanced approach to the financial considerations as well! Ha! It certainly is a monster of a past – I had so much to say (and even condensed all of it as much as possible!). Your description of what you all wanted for your honeymoon is exactly what my fiancé and I want for ours as well when we get married in October! We actually ended up looking at CocoBay because of this blog post and just booked it last night. Do you have any recommendations or tips as far as getting from the airport to the resort? Anything you wish you would have known beforehand to prepare to travel to Antigua? Thank you so much! Hi Elizabeth! I love hearing this, and I’m so glad you let me know!! We loved CocoBay so much, and it was exactly what I had always wanted in a honeymoon! When we booked through the CocoBay website, and option came up to book a driver/private car to and from the airport, so that’s what we did… he was waiting for us when we walked outside the airport and drove us straight to CocoBay, about 25 minutes away. So easy! And travel in Antigua was super simple and uncomplicated, thankfully… we didn’t even have to pack anything like converters or adapters. We brought sunscreen and mosquito repellant, but both were available in the little gift shop at CocoBay, too. Everything else about the trip was just so easy and convenient! Hopefully this helps some, and have an amazing time in Antigua!!! Hi there! I definitely would not decribe CocoBay as rustic or camping-like whatsoever! We had a beautiful ocean view pool cottage with many amenities… air conditioning, a luxurious king bed, a great bathroom, a fridge and minibar (which were replenished), cozy towels, our own beautiful pool and deck. I could go on and on, but I definitely don’t think CocoBay was too rustic at all! When we arrived to our cottage, we were even welcomed with fresh flowers everywhere, as well as chilled champagne for our honeymoon! I’d highly, highly recommend CocoBay… I heard about it from a friend, and we fell in love with it, too!! Thanks for a great post, Stephanie! Did you have to bring a converter for the outlets in Antigua to change your phone, use a curling iron, etc? And did you tip the hotel workers in American dollars or in the local currency? I have read different things on different websites so I was curious to ask someone who had been there. Thanks! !